Bones, bones and more bones. 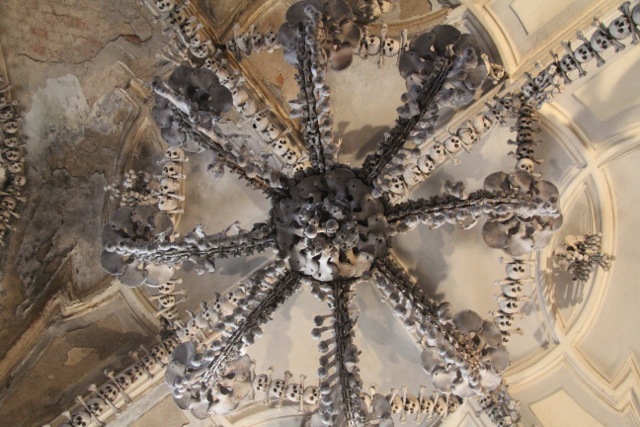 A few weeks ago we visited the Sedlec Ossuary in Kunta Hora, outside Prague. 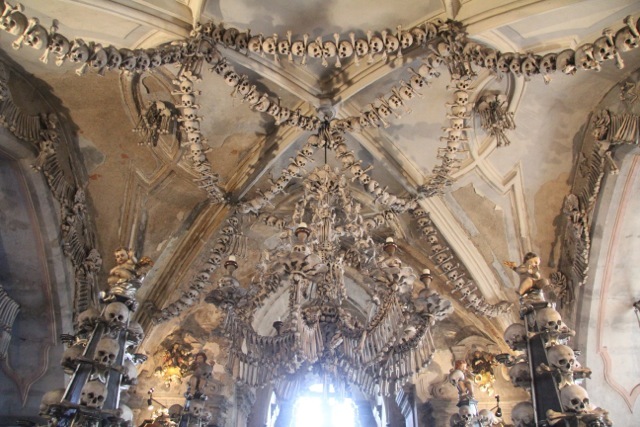 It’s a Roman Catholic chapel containing between 40,000 to 70,000 human skeletons. 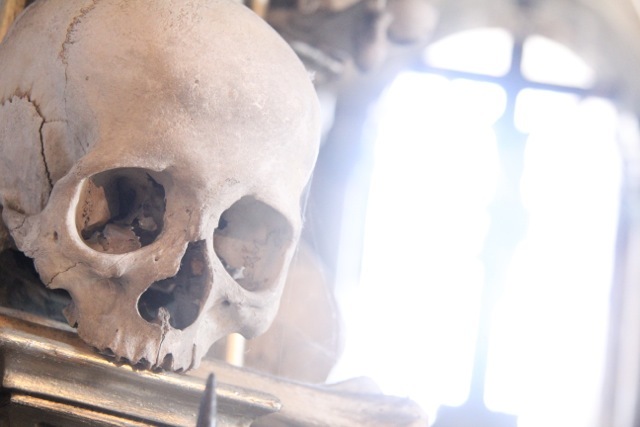 A half blind monk was assigned the task of stacking skeletons in great big pyramids in the four corners of the ossuary. Further renovations resulted in a space decorated by these remains, including a chandelier containing every bone in the human body. For more details on the history check out wiki. It may all sound pretty macabre at this point but it really was anything but. Prior to our visit a lady at information tried to explain that it wasn’t created as a place of despair but a place of hope, hope in resurrection. You could easily be mislead, reading some reviews, but I must agree with her. 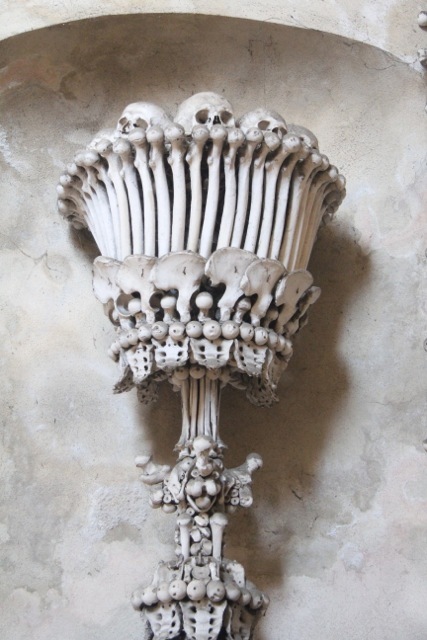 The Ossuary, while full of bleached bones, is also full of light. It feels spacious and airy, not dank and oppressive. Although mass graves always have a sensation of anonymity this space reminded me that we’re all in this together. We live here on earth together, impacting each other directly or indirectly, and eventually we pass together into the next realm, to be remembered here for a time but then to be forgotten. Only the ripple effects of our actions to bear witness to our passing on the earth. This temple to those past was, to me, a beautiful, engrossing thing (yes I do love to figure which bones are which) a testament to the human ability to create something life giving and enhancing out of death and destruction. A place of humbling hope.